Can I please claim Vicksburg and Shawnee? We started to collect the state quarters & president gold dollars, but never finished. I think we cashed in our collection (sorry!) BUT I just found the 2012 Acadia quarter & the James Garfield dollar in our stash, so Erin & Tessa, I have one for each of you. PM me your address & I'll drop them in the mail (Erin - Acadia) & (Tessa - Garfield). Oh thank you, that's very sweet! And everyone from Ulysses S. Grant and on. Tessa, I should have a bunch of these gold dollars. I know I have a ton of some of these presidents so I will go through them tonight and let you know. Well, I did some more checking and don't have any more that anyone needs at this time other than those I posted. Will send PMs to @watzshakinbacon and @timeerkat to coordinate mailing. Hi! Sorry I didn’t see this sooner. My radiator blew this week; sidetracked me from my fun. Sent you a pm for the 2 you offered if you still have them. Hehe I’m so happy with all the help I’m getting!! I think the sunshine and warmth might already be heading to the Midwest... it was so cold this week!! Haha extra thanks to tessa for sharing her old quarter books with me! Now I can be official! You're welcome! I'm glad they can continue to be useful! 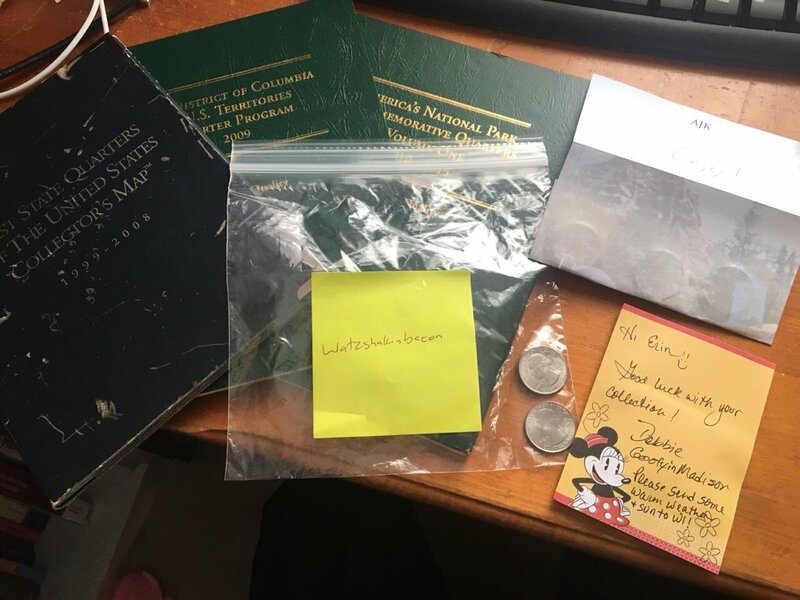 I got the Vicksburg quarter from AJK and the Garfield dollar from GoofyinMadison last week. I also took Metro this weekend to get to an event, and decided to try my luck with the change. I think I got about 6-8 new president coins. I forget which ones offhand (I know I got Washington, Lincoln, and JFK, plus a few more). I also got a 1978 Susan B. Anthony; that went into one of the blank extra spots in my book. I have 2013 White Mountain from the Denver Mint if you still need it. Apparently, there's a gift shop :] I wonder if it's more quarters... or pressed pennies!? I wonder if they sell mints ? I have the the full set of original 50 that I collected in that map thing. I was thinking of cashing it in. Is anyone interested to maybe to a trade for a pin or 2? Aw, boo! Sorry you missed it. I will have to check our spares also which are circulated to some extent. 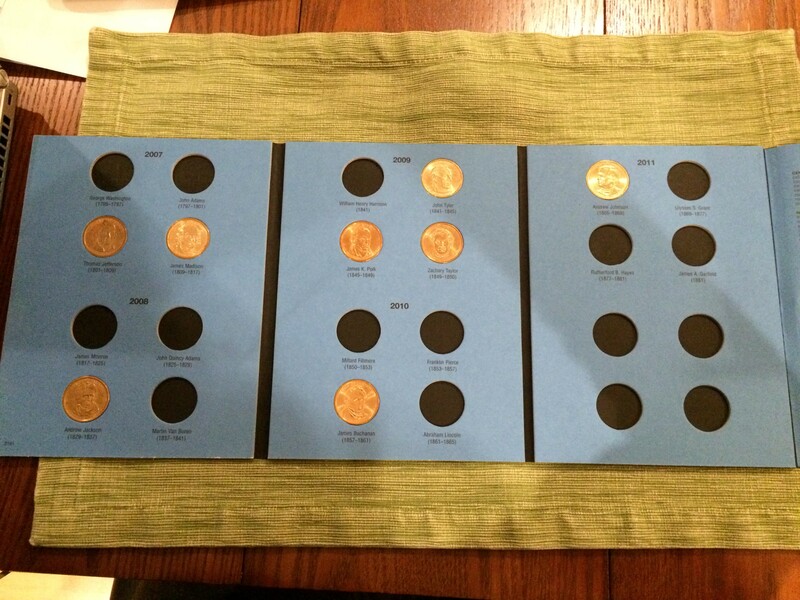 We also have 2 complete collections of the state quarters that are uncirculated along with the proofs and silver proofs that we purchased from the mint.